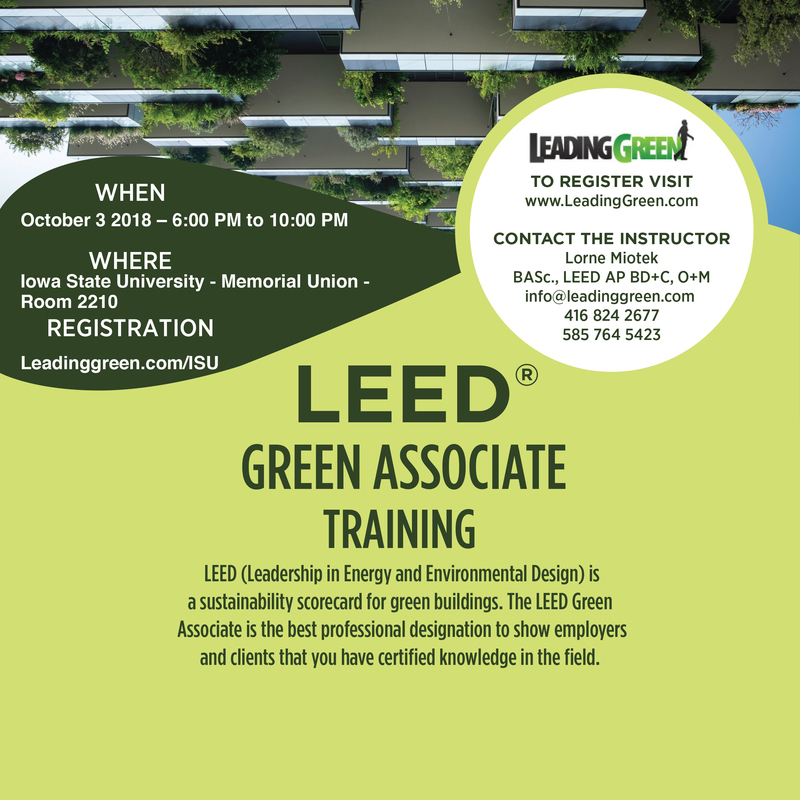 Lorne Mlotek will host this LEED sustainability training workshop in the Iowa State University – Memorial Union – Room 2210. Early-bird cost is $300 ($200 for full-time students). Register online. Please contact the Mlotek directly with any questions at info@leadinggreen.com.